So is there a difference between food allergy, intolerance, and sensitivity? The answer is yes—these are all different health issues that vary in severity and treatment. While symptoms can sometimes seem similar, what’s happening within the body is often vastly different, and identifying those complex internal processes is the key to effective treatment. Here’s a quick overview of each. A food allergy is a reaction caused by the immune system’s response to a certain food. When a person’s immune system recognizes this food as an invader, it creates Immunoglobulin E (IgE) antibodies to fight the allergen, which releases chemicals—such as histamines—into the body. The resulting inflammation can create symptoms ranging from itchiness and rashes, to stomach pain and respiratory issues. In the most severe cases, these reactions are immediate and can be life-threatening. Research estimates that up to 15 percent of Americans suffer from food allergies. Food intolerance is characterized by difficulty in digesting certain foods. While this can be caused by different factors (such as poor nutritional intake or reactions to food additives) some people also lack the enzymes required to break down particular foods. Lactose intolerance, for example, is caused by an individual’s inability to produce sufficient amounts of the enzyme lactase, which is needed to break down lactose in dairy. Symptoms of food intolerance are wide and varied and are therefore often difficult to diagnose. However, we know that food intolerances do not involve IgE antibodies or the immune system, so testing is an effective way to rule this out. Food sensitivity is perhaps the most complicated of these three classifications, as it combines many of the nebulous non-immunologic symptoms of food intolerances with the complex immune responses that are typical of food allergies (characterized by delayed IgG and IgA immune responses rather than the faster IgE variety). Testing for food sensitivity is especially important because while symptoms can be less severe or obvious than those of food allergies, the possibility of long-term damage is a real danger. Celiac disease is one example of this. When individuals with celiac disease ingest gluten, their immune systems respond by attacking the small intestine, ultimately damaging the intestinal tissue. If left untreated, celiac disease can lead to the development of other autoimmune disorders. If you’ve noticed that you feel unwell after eating certain foods or you suffer from chronic unexplained symptoms, it’s important to work with your doctor to diagnose what exactly is happening within your body so you can pursue an appropriate treatment plan. Your physician may have you maintain a food diary or order tests to help determine what—and to what extent—food is causing health issues. Specialized testing, like the comprehensive Array 10 and Array 3 tests from Cyrex Labs, can assist your physician in honing in on the specific food-related sensitivities that may lead to allergies or contribute to other health issues in the long-term. The science of food-related reactivity has come a long way in the last few decades, and this knowledge is helping to shape a more positive relationship with what we put into our bodies. We now understand that there are many different factors and forces contributing to the way we react to various foods, and advancements in testing are making it easier than ever for each of us to identify a path toward our individual optimal health. The more we learn about these differences, the better we’ll be able to prevent the kinds of misconceptions that lead to misdiagnoses—and that means less time focusing on foods to avoid, and more time focusing on what we need to sustain happier, healthier lives. 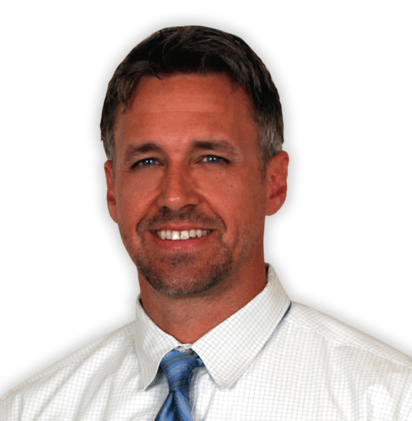 Dr. Chad Larson, NMD, DC, CCN, CSCS, is an Advisor and Consultant on Clinical Consulting Team for Cyrex Laboratories. Dr. Larson holds a Doctor of Naturopathic Medicine degree from Southwest College of Naturopathic Medicine and a Doctor of Chiropractic degree from Southern California University of Health Sciences. He is a Certified Clinical Nutritionist and a Certified Strength and Conditioning Specialist. He particularly pursues advanced developments in the fields of endocrinology, orthopedics, sports medicine, and environmentally-induced chronic disease. Dr. Larson is a clinical consultant to Cyrex Laboratories, a clinical immunology laboratory specializing in functional immunology and autoimmunity.